Asentria supports a legacy line of products used for Telemanagement Solutions (PBX telecom data collection) which enable providers of critical communications infrastructure to more efficiently and reliably run their networks. 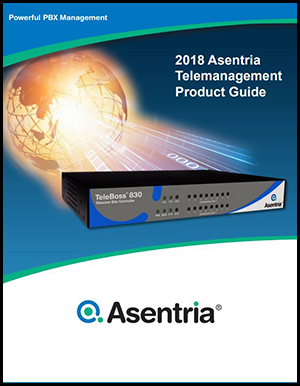 Asentria Telemanagement products have been the leader in CDR collection from PBX’s for 30 years. Asentria solutions allow for CDR to be collected from the PBX and ensure that the data is reliably delivered, as well as ensure that the network security methods used prevent unauthorized parties from being able to access the data. Asentria solutions are used by top call accounting software vendors who provide solutions to the world’s most prestigious enterprise, governmental, financial, and military institutions.